Christine Cox Consulting is a boutique management consultancy which has been providing a broad range of HR and organisational development consultancy services to public and private sector organisations since 1995. Christine Cox, Principal of Christine Cox Consulting, has over 30 years experience in human resources with extensive experience in the human resource development, organisational development and change management fields in both public and private sectors. Chris has undertaken national and statewide consulting projects through to providing hands-on generalist HR support to line managers and career coaching and career transition support to individuals at all levels. Chris has a developed a reputation of building strong and lasting relationships with her clients. She believes in going the extra mile and partnering with her clients to create genuine change and capability improvement. Chris also partners with a number of skilled associates to scale up quickly for large projects or to provide complementary expertise. Associate partners include attraction and recruitment specialists, organisation psychologists, and career development specialists. Chris is a Certified Management Consultant, an accredited coach, holds a Bachelor of Educational Studies, is a certified workplace trainer and assessor and a trained investigator. She is accredited in the Team Management Index, Saville Wave Professional Styles and the Myers-Briggs Type Indicator. In addition, Chris is the Assessor for the Institute of Management Consultants for Certified Management Consultant (CMC) status, an international certification mark which represents evidence of the highest standards of consulting and adherence to the ethical standards of the profession. We have developed a network of quality associates which creates capacity to quickly scale up for large projects or to provide a suite of complementary expertise to clients. PEOPLE AND PERFORMANCE PTY. 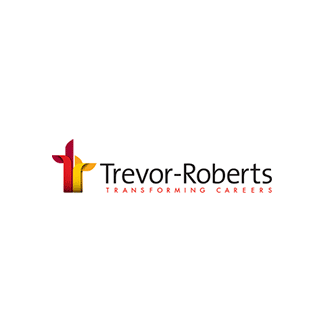 LTD.
Steve Turner and Dr Leonie Horrigan, Directors of People and Performance, are both experienced senior managers and management consultants with extensive experience in large and small scale organisational change and performance improvement initiatives. HR talent specialists, McGibbon Consulting have built a recruitment business that is genuine and personal and that is based on building long term relationships with a human touch dealing in entry level roles through to executive placements. Kate Morton is an experienced HRD practitioner and career coach. Kate has extensive experience supporting people at all levels through change and career transition. She is also a skilled facilitator with a gift for providing a pragmatic and positive approach.